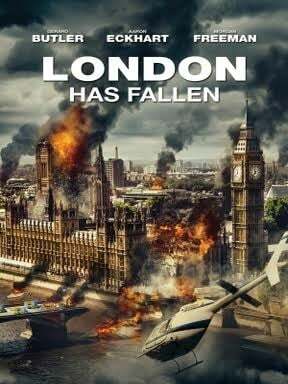 Box office hit London Has Fallen sees Big Ben and Parliament exploding, along with other key landmarks, leaving only Gerard Butler to save the day. The world’s leaders have gathered for the Prime Minister’s state funeral – creating the perfect opportunity for terrorists to assassinate them all in one go. Take a look at the trailer here. Key sequences were filmed across Lambeth, Southwark and Islington, with a generous donation made to the Whitgift Estate’s Tenants and Residents Association. Around Islington’s Finsbury Square, a cavalcade makes its way along Ropemaker Street, over the junction of Moorgate and Finsbury Pavement on to South Place, filmed from the pavement and from inside the cars. You’ll also see the crowd panicking and running on the south side of Finsbury Square in front of Bloomberg’s offices. FilmFixer manages the film office for all three London boroughs. FilmFixer director Karen Everett says, “Although many of the London scenes were shot on a set in Bulgaria, we were really pleased to be able to help with authentic, iconic locations right here in the capital. The most iconic of course is the view across to Parliament from Lambeth’s Albert Embankment.